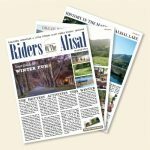 If you have never tried the new recreation sensation of pickleball, then your getaway to The Alisal might be the perfect opportunity to learn the basics and have some fun. The Ranch now offers two pickleball courts in our tennis complex. Our assistant tennis pro Chris DeVaux, recently certified as an instructor by the Professional Pickleball Registry, is ready to get you playing in no time with a group or private lesson. Our Tennis Director, Walt Seemann, is also available for instruction. If you already are a fan of the sport but didn’t bring your equipment, no worries, we have paddles and balls to rent or purchase in the pro shop. The sport was originally developed by a group of dads living in Washington state in the 1960s, who had a passel of bored kids on their hands during their summer break. A pickleball court is the size of a badminton doubles court, with a tennis style net, a hard paddle (between the size of a tennis racket and a ping pong paddle) and a ball that looks like a perforated plastic wiffle ball. 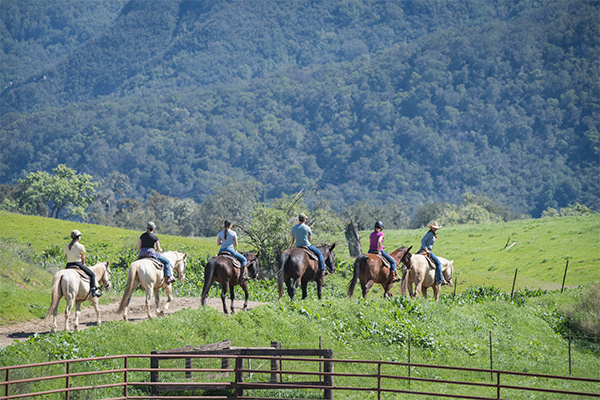 The game can be relaxed or fast paced depending on the skill level of the players. 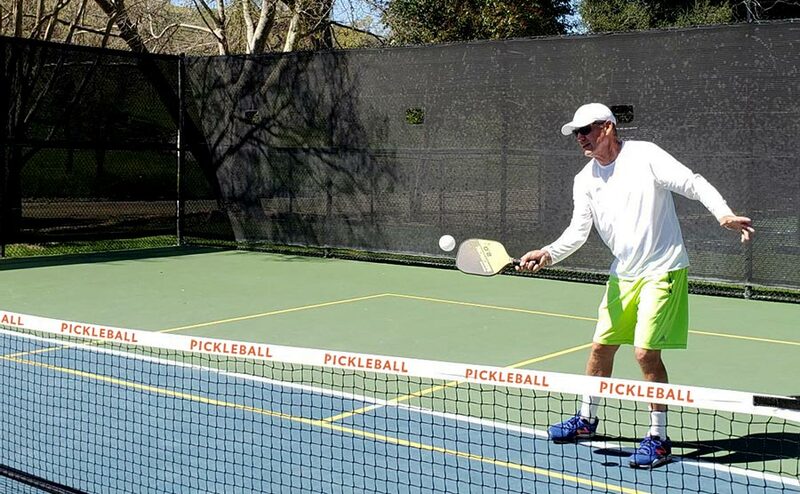 According to DeVaux, “what’s nice is that you don’t have to cover as much ground as a tennis game and it is any easy sport to learn.” So if you have a hankerin’ for a taste of “Pickle”, mosey on over to the tennis pro shop, or make a reservation for a court, at the front desk.